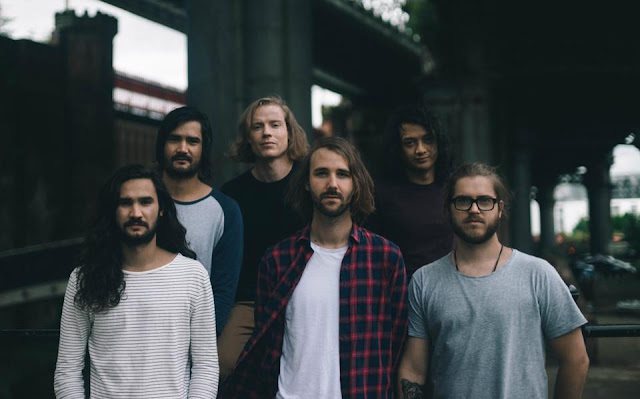 FAIRCHILD reveal video for "Neighbourhoods Pt.2 (feat. RUNAH)"
The Australian band relocated to Manchester for two years, and in that couple of years embraced the local culture, was warmly accepted into the community and have now headed home with a very fond love for the city. The new track strays away from their 'indie-rock' sound and delves into a more electronic and spaced out sound, which we're totally digging and have played on repeat for a few times after the first play! The band said - "As you may know, Manchester was our home for the past two years. This collaboration and video project is paying homage to a city that accepted 7 Australian boys with open arms. The news of the tragic events at the Arena last week was incredibly difficult for us all to accept. But seeing how the community has responded and supported each other is truly amazing. So we'd like to contribute in donating all the proceeds from this song to the British Red Cross Emergency Fund."